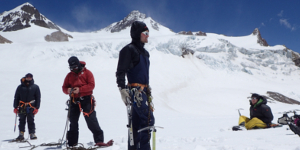 MGI operates in Mendoza, Argentina climbing South America's tallest peak, Aconcagua (22,841'). In addition to the MGI expeditions on Aconcagua, our sister company, the International Wilderness Leadership School offers several Leadership & Guide Training courses throughout Argentina. Hone your skills as a rock climber on the alpine granite of Cajon de Arenales or explore remote peaks south of Aconcagua. 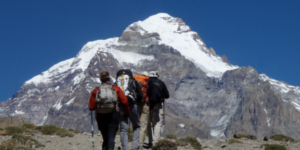 Glaciated peaks surround Aconcagua’s flanks and offer students world class mountaineering objectives. During the IWLS guide training mountaineering course, students develop high altitude technical mountaineering & leadership skills. 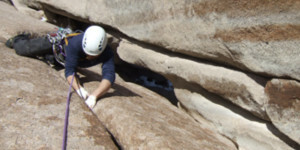 Climb some of the highest quality granite in a range of great crack climbs, tenuous sport routes, and long, multi-pitch alpine climbs, all while learning the skills to guide in this beautiful terrain.